Ever since the launch of the Toyota Prius in 1997, hybrid vehicles have come to symbolise the global movement toward reducing the environmental impact of travel. And although the Prius is one of the world’s most popular cars, it isn’t the only Toyota to utilise our innovative and highly efficient Hybrid Synergy Drive system. 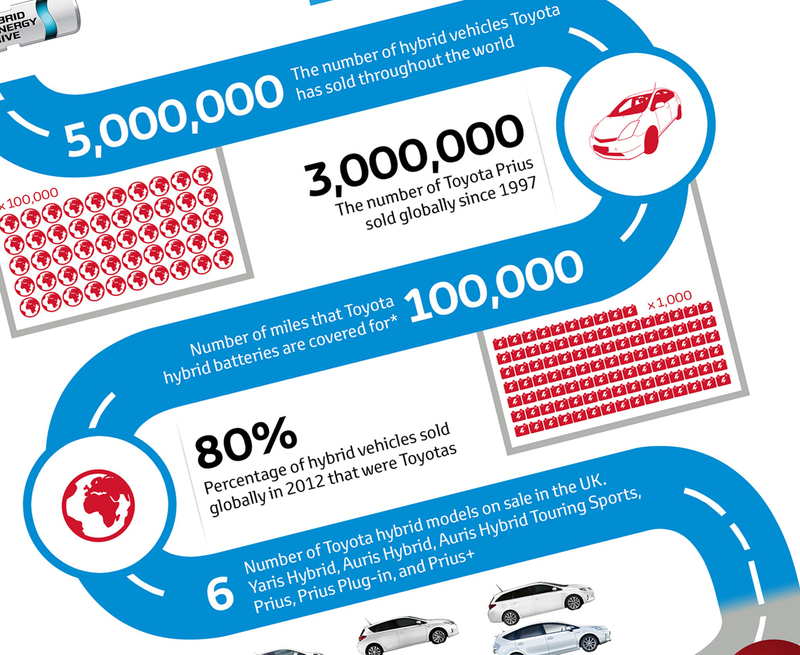 If you want to know more about hybrid, take a look at our infographic below to find out all you need to know about the Toyota Hybrid Synergy Drive system – how it works and saves fuel, how hybrid cars use eco-friendly materials, and who buys them. You can download a large version of this infographic by clicking here. Find out more about Toyota Hybrid Synergy Drive at toyota.co.uk.